Dr Ashish Pitale is a Senior Consultant Surgeon with special expertise in Laparoscopic (key hole) Surgery including Bariatric ( Weight Loss) surgery. 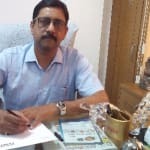 He is a medical graduate ( MBBS) and postgraduate ( MS ) from the Institute of Medical Sciences, Banaras Hindu University.He did his Senior Residency from Dr RML Hospital in New Delhi. In the year 2000, he obtained FRCS, the prestigious Fellowship of the Royal College of Surgeons of Edinburgh, UK.He then went to the UK for higher surgical training where he gained extensive experience in Gastrointestinal, Laparoscopic,, Thyroid and Breast surgery. On completion of his higher surgical training , Dr Pitale returned to New Delhi .He has his own clinic in Dwarka and is attached fulltime to Columbia Asia Hospital,Palam Vihar,Gurgaon. A vast majority of surgeon often consult Dr Pitale on core health issues. In his 18 years of practice, he has accomplished many medical feats. His versatile approach towards medical treatment makes him one of the best surgeons in India. Before operating patients, Dr Ashish Pitale duly informs them of the procedure. He thinks of it as a part of his medical practice to educate patients upon the health issues they are facing. That is why he has his own clinic in Dwarka, Delhi so that he can cater to needs to a much larger patient base. Dr. Ashish Pitale is a renowned General Surgeon in Dwarka Sector 11, Delhi. Doctor has over 26 years of experience as a General Surgeon. Doctor has completed MBBS, MS - General Surgery. You can meet Dr. Ashish Pitale personally at Yogashish Clinic in Dwarka Sector 11, Delhi. Book an appointment online with Dr. Ashish Pitale on Lybrate.com. Lybrate.com has an excellent community of General Surgeons in India. You will find General Surgeons with more than 42 years of experience on Lybrate.com. Find the best General Surgeons online in Delhi. View the profile of medical specialists and their reviews from other patients to make an informed decision.